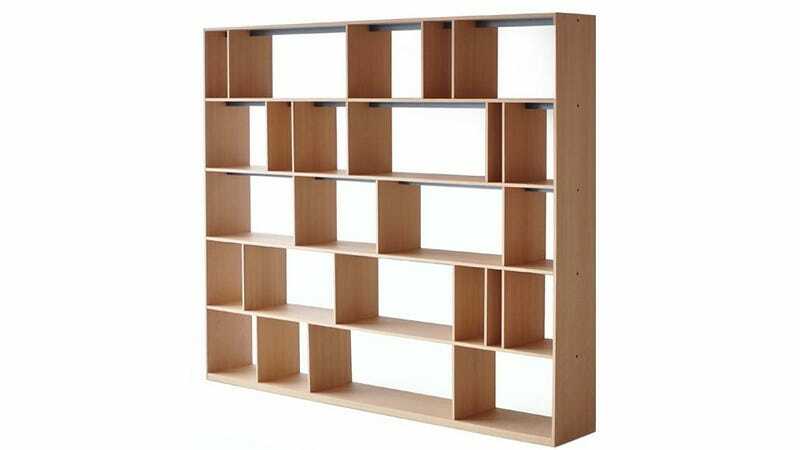 Benson's Format bookshelf uses a series of infinitely adjustable sliding dividers on every level to keep books upright, and to visually break up its simple form. It's great news if you absolutely hate it when books fall over, but bad news if you're into collecting bookends. You have your choice of oak or walnut wood finishes, and a black or white lacquer if you're looking for something more modern. But the smallest version, measuring just three feet long on each side, starts at a hefty $547. And the largest version tops out at over $1,600 before customizations. But still, it's a small price to pay for peace of mind that everything on it is going to remain upright.